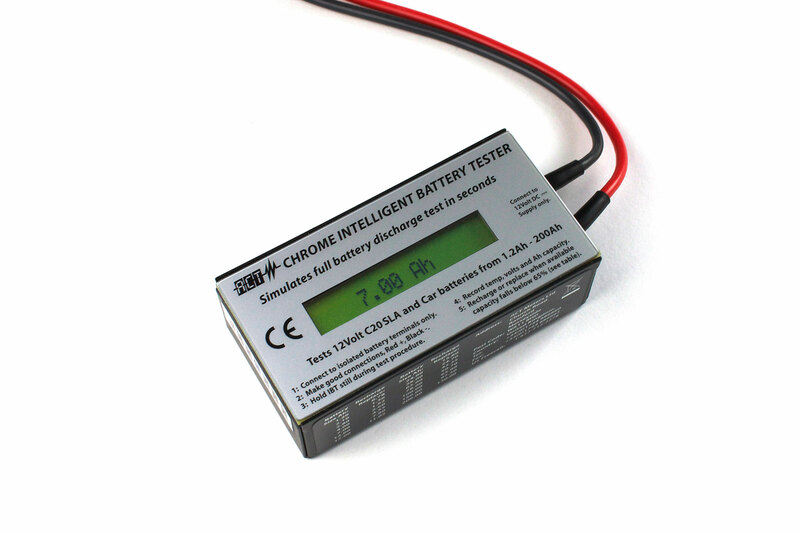 Simulating a 20 hour discharge test in seconds, the ACT CHROME 12v SLA Intelligent Battery Tester displays the DC Voltage and available Ampere hour (Ah) capacity of standby lead acid batteries between 1.2Ah and 200Ah. An essential tool for testing 12V SLA batteries commonly used in fire and security systems. 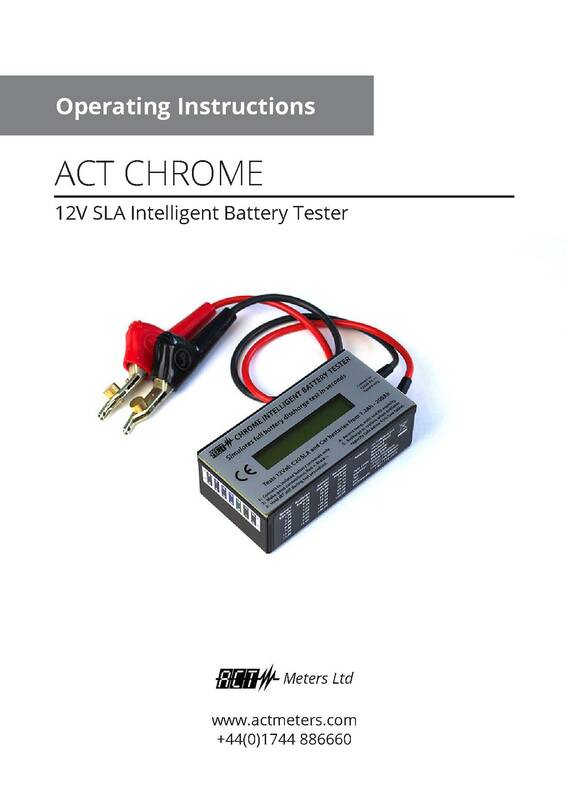 The ACT CHROME 12V SLA Battery Tester uses advanced pulsed load technology to deliver accurate DC Voltage and Ah capacity results based on the battery’s temperature and state of charge. A quick look up table on the side of the unit identifies when batteries should be recharged or replaced due to age or operating conditions (65% of rated capacity). A temperature sensitive strip allows the ambient temperature to also be recorded. The ACT CHROME 12V SLA Battery Tester offers a simple and accurate solution for testing 12V SLA batteries commonly used in fire, security and many other electrical systems. Want more Battery Testing Tips? Click here for further advice.